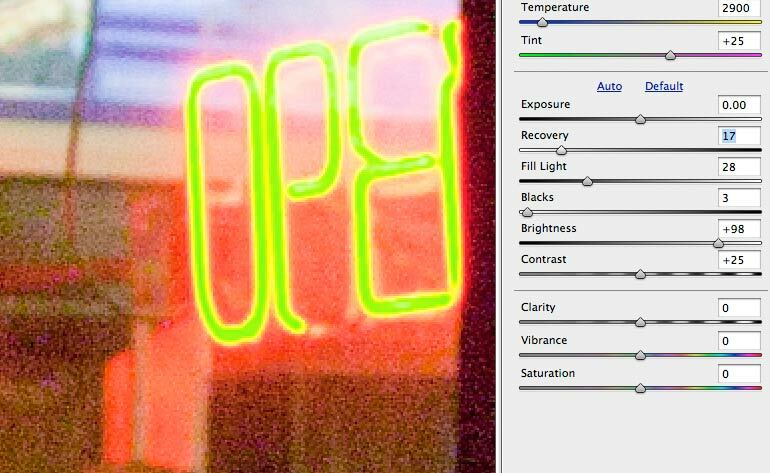 Some time ago (actually in one of our first reviews) Keith looked at some rather clever noise reduction software for images, called Noise Ninja. The latest software from PictureCode is also an all new RAW camera image converter, called Photo Ninja. It incorporates all the noise correction functionality of Noise Ninja. Keith has been giving V1.0 of the software a tryout, with various RAW files from his collection. This short review gives an overview of some of the software functionality. There is a free two week trial license available if you download the software. 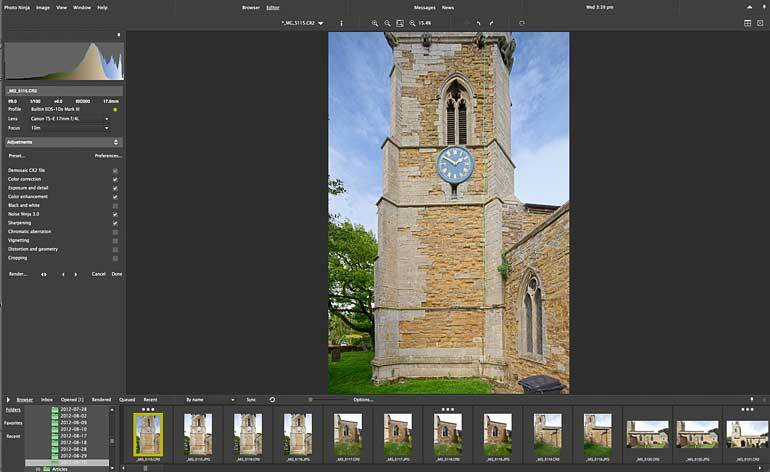 The initial version of the software can work closely with Lightroom, Aperture and PhotoMechanic – plugin support for Photoshop is due with V1.1 of the software. Initially supported cameras are listed in the summary below. The functionality described below is also available for Windows PC users. If you want the best results from your camera, it’s worth using the RAW camera setting, which saves files that are minimally altered data, directly from the camera sensor. That’s not to say that JPEG files from a camera won’t work well for many people, just that the quality and processing options are all set in the camera at the time the JPEG file is processed. It’s not uncommon for people trying out using RAW files for the first time to be somewhat unimpressed by the image quality. The in-camera JPEG processing is designed to give pictures with more punch and to ‘look good’ – that’s why cameras tend to have setting for picture styles. Just remember that all these whistles and bells are turned off for RAW files. It’s this freedom to choose hoe the image is processed that gives the power and flexibility of using RAW files. You have to do some work yourself and learn the options. I’m testing out the software on a Mac, but most of the screen shots would be similar on a PC. Installation of the software (after downloading it) is pretty straightforward. The software needs activating with a key code. Even this is made easier by the software looking at the contents of your clipboard to search for the key. 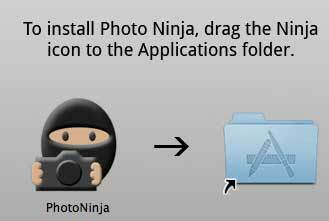 This first version of Photo Ninja doesn’t work as a plugin for Photoshop, so I’m testing it here as a standalone application, generating TIFF files for further processing in Photoshop. 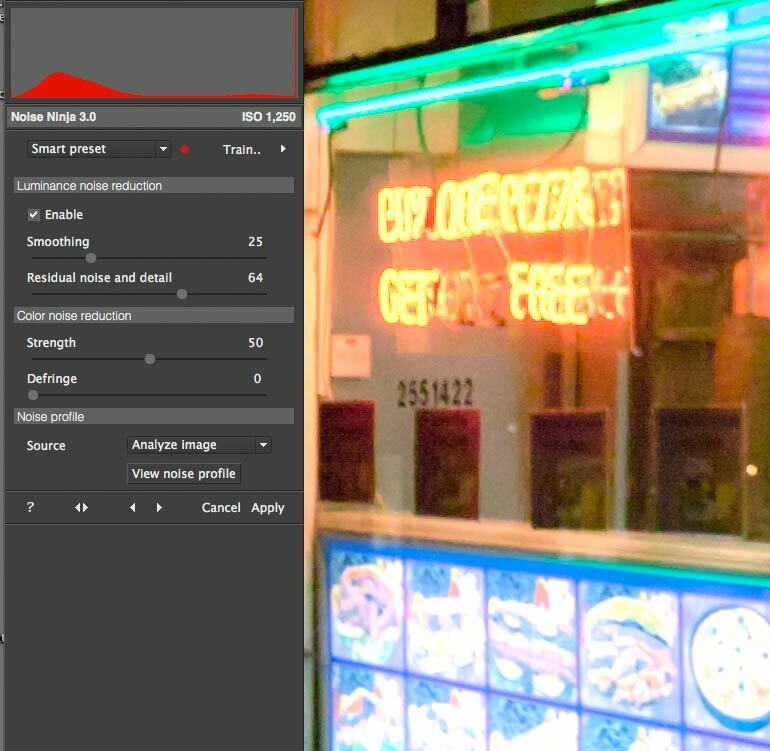 It also opens JPEG files for processing and noise reduction. 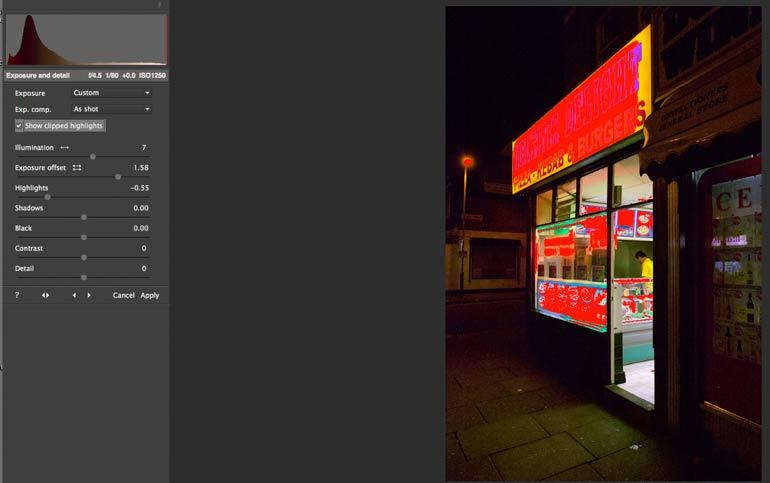 I don’t use Lightroom or Aperture at all – Photo Ninja is more tightly integrated here. If you do use these programs, have a look at the various examples and tutorials on the PictureCode site. One of my quick tests of the usability of any photo software is to just fire it up and see what it does. It opens by default in full screen mode – now personally, I tend not to like full screen applications, so I quickly had a look around the preferences and other menus to take it back to a more familiar windowed mode. It’s a personal preference thing, probably from using Macs with very large monitors for over 20 years. You can also customise screen text size and overall colour schemes to your taste. I’d just been out shooting some photos of part of a church tower (part of my specialist ‘heritage architecture‘ work) – the important parts of these photos is the stonework – or more particularly the problems and cracks. 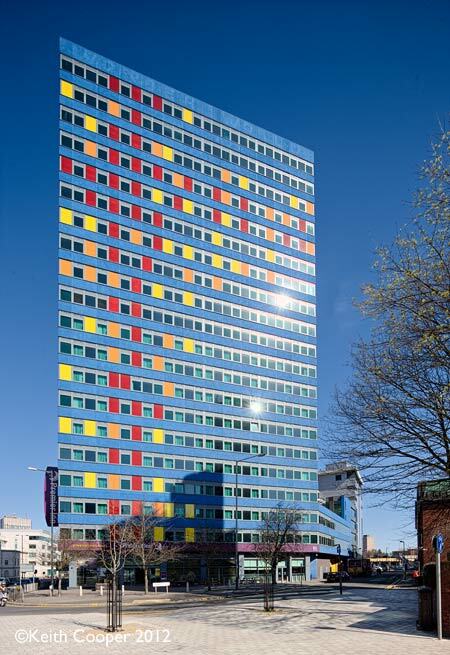 Images are usually supplied fully rectified for use with CAD systems. However, I just wanted to see what Photo Ninja would make of some of them. First up – browser mode. Once again, you can customise layouts for your own way of working. The large number of images above comes from shooting a scene with our GigaPan head. 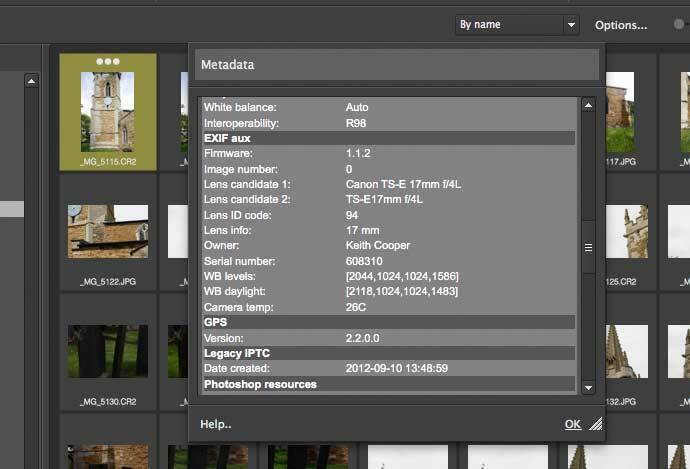 It’s easy to check file metadata – note that any data you amend should be entirely compatible with other applications (I only checked this with Photoshop, but it seemed fine for what I use it for). 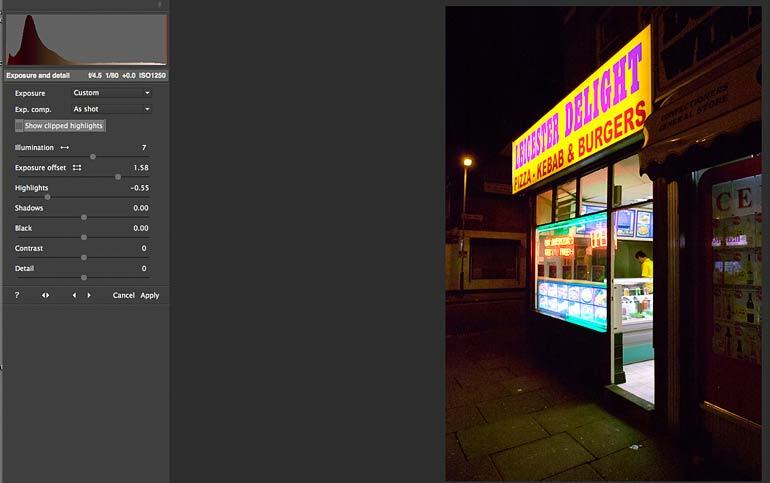 Opening an image gives me Photo Ninja’s ‘best guess’ conversion of the RAW file. You can see from the thumbnails at the bottom that it’s recovered colour and detail from a very bright sky. I didn’t take the shot to get a nice looking sky – look at the second thumbnail to see what I’d normally expect. It’s important to note that this is just a default and that you can easily set your own preferences and preset options. 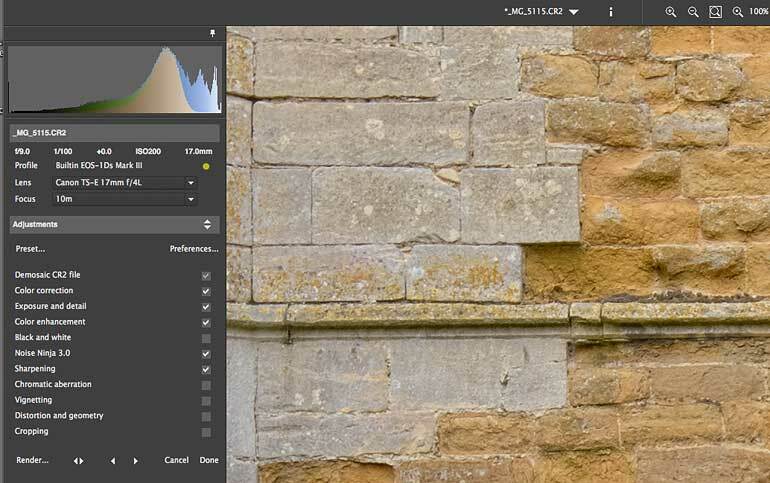 For a default conversion, this looks rather good, particularly when I zoom in to have a look at the detail in the stonework. 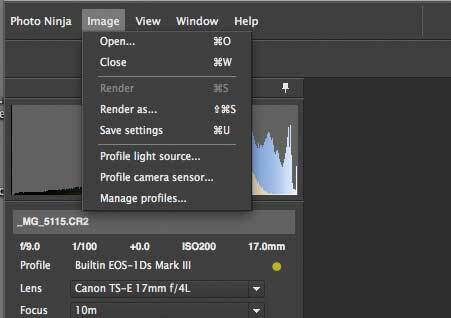 If you look just below the histogram, you can see that a profile for my Canon 1Ds3 camera is indicated. One of the strengths of this software is that you can build your own profiles for light sources and camera bodies. This is in addition to the noise profiling capabilities found in the original Noise Ninja. It’s also possible to build your own lens correction profiles, covering geometrical distortions and chromatic aberrations. I’ll not cover this in this quick overview, since it’s going to take quite a bit of experimentation to work out when it’s going to help me. Having a look at noise reduction performance, I went back to one of the files I used in the original review. This was taken with a Canon 1Ds (11MP full frame) at its maximum 1250 ISO setting. One of the real benefits of improvements in RAW processing software is that an image that was not good enough to use 10 years ago, can be reprocessed – sometimes turning a shot that would have made just an OK print into one that really works well. Of course it helps to try and get things right in the camera (if actually possible), but in the real world that isn’t always going to happen. Move your mouse over the image below to see the default noise reduction (image viewed at 150%). The neon sign is distinctly overexposed. You can see which parts of the full image are clipping in the picture below – move your mouse over to see clipping. Although I don’t normally do many direct comparisons, it’s worth noting that Adobe camera RAW (below) has consistently failed with the neon sign over the years. The image noise also tends to have a more ‘blocky’ feel to it. 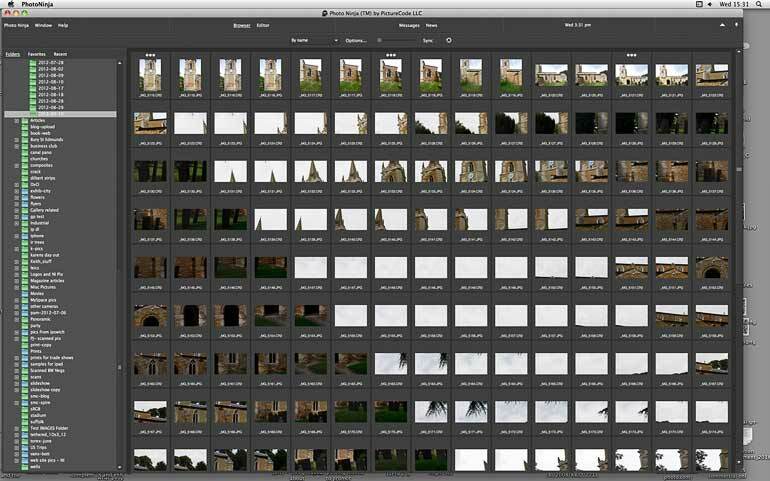 Do test this for yourself though – select or create some tricky to process RAW files and see what you think. My own quick tests suggest that Photo Ninja is very good at handling fine image detail, whilst the ‘detail’ adjustments can be used modestly without fear of noticeable halo effects (something I generally dislike). The blue building at the top of the article, for example has a lot of tricky bright reflections which were handled very easily. 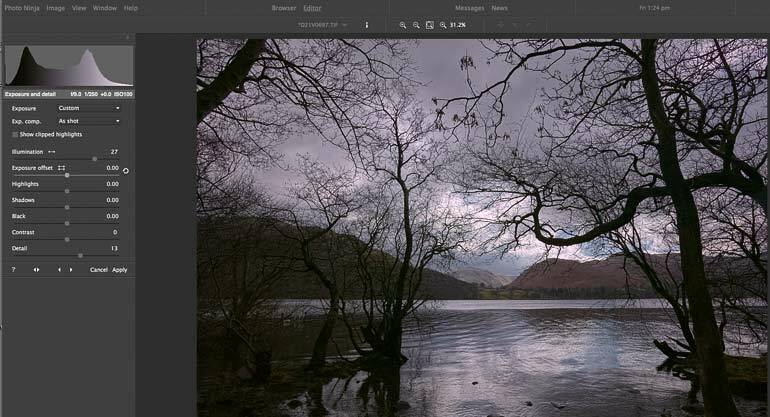 I’ll finish up this overview with a few more examples, first showing processing of a rather dull underexposed shot I took from my car, when driving alongside Ulswater in the Lake District. Once again it’s taken with my old 1Ds – not long after I seriously switched to digital, so still experimenting. I still have, on the site, a short article I wrote about some of my initial digital experiences at the time (2004). I’ve left it as written and it’s interesting to think that several of the issues I noted, are much more easily fixed with 2012 RAW processing software, compared to 2004. Colour correction, recovery and enhancement options are comprehensive and intuitive to use. Similarly, exposure adjustment is very effectively handled. 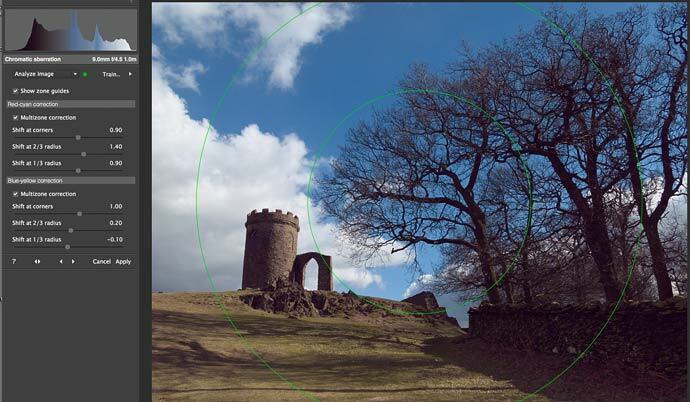 Move your mouse over the two images below for some of the exposure balancing adjustments. The sliders affect different parts of the image – this needs some experimentation. As the example above these two screengrabs shows, there is quite a lot you can do to even rather poor original files. This detail is from a shot taken with my old Olympus E-20 and wide angle adapter – i.e. unlikely to be in anyone’s lens correction database. Move your mouse over, to see the auto correction. For an image I’ve used numerous times to check CA corrections, this one impressed me. 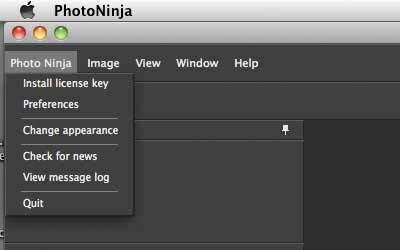 In this case, V1.0 of Photo Ninja is surprisingly complete and usable. 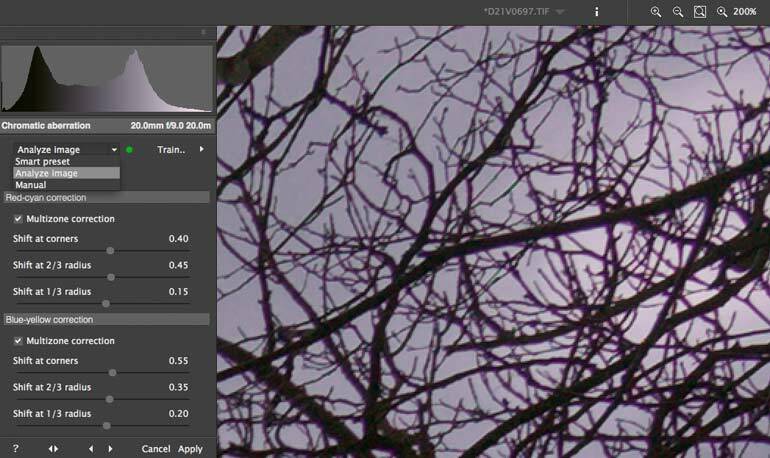 Since Photoshop is what’s used for most of my image processing, I’ll wait for V1.1 before testing it more widely. 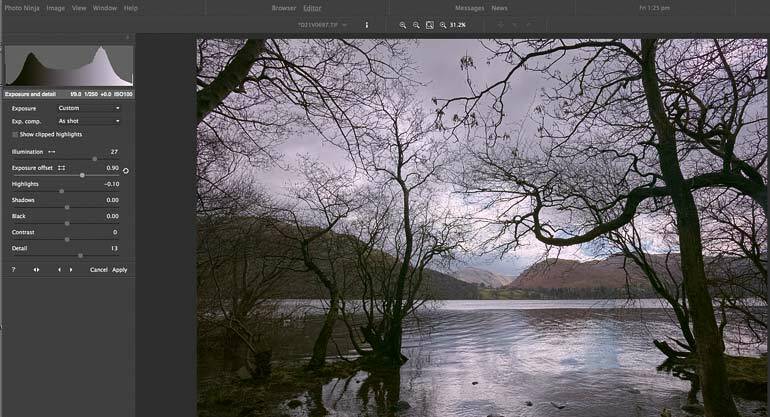 It has however, jumped straight in as a preferred RAW processing tool for me to try with ‘awkward’ images. I found some difficulties in switching between the various adjustment modes (I’m not sure of the need for the ‘apply’ button for each one, and the mass of options (with varying degrees of stickiness) and ability to make presets, did leave me wondering on occasions how I’d managed to process one image, and how I could do the same on another. As someone who tends to process small numbers of images, these were minor concerns though. Where I did have a few more issues was with being able to batch process images (for stitching, for example) with identical non content-dependent settings – something I’m told is being looked at. Documentation (on and off line) is relatively complete, but I would prefer a few more pop-up tool-tip bits of information for when I forget just what a particular slider/button does. These are but rough edges – what really impressed me was the fundamental quality and capabilities of the RAW processing at the heart of the software. Canon D2000, D30, D60, D6000, 7D, 10D, 20D, 30D, 40D, 50D, 60D, 300D, 350D, 400D, 450D, 500D, 550D, 600D, 1000D, 1100D, 1D Mark I/II/III/IV, 1Ds Mark I/II/III, 1D X, 5D Mark I/II/III, PowerShot G1X, PowerShot G6. Olympus E-M5, E-500, probably other E-, C-, and SP- models. Panasonic DMC-FZ35, DMC-GH2, DMC-G3, DMC-GX1, DMC-GF5, probably other DMC models. Pentax K-01, probably other K- and *ist models. Sony NEX-7, DSC-RX100, probably other DSC, DSLR, NEX, and SLT models. Foveon cameras. Unsupported sensor and raw format. FujiFilm X-Pro1. Unsupported colour filter array pattern. FujiFilm Super-CCD models (e.g. S2Pro, S3Pro). Images decompress and colour is sane, but images are rotated 45 degrees. Phase One cameras. Images decompress and colour is sane, but there are dark “seams” between sections of an image. Windows XP, Vista, and 7 (32-bit and 64-bit). A 64-bit operating system is highly recommended. Mac OS X 10.5 or later, (64-bit only). Photo Ninja is computationally intensive and memory intensive. On quad-core, 8-core, and 12-core machines, it will use all available cores for filter operations; the speed-up is noticeable.